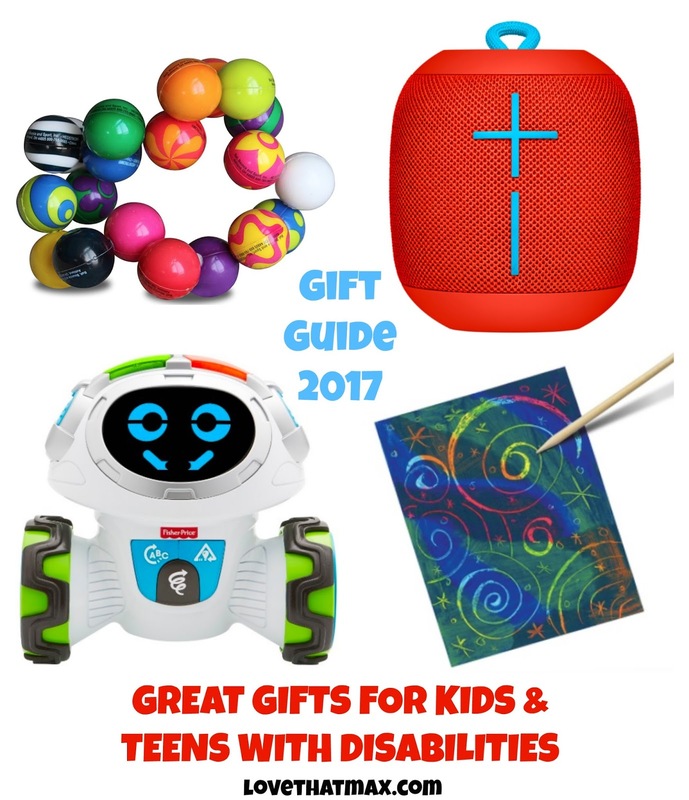 If you're looking for great gifts and toys for children or teens with cerebral palsy, autism, Down syndrome, sensory issues or other disabilities, cross that to-do off your long list! 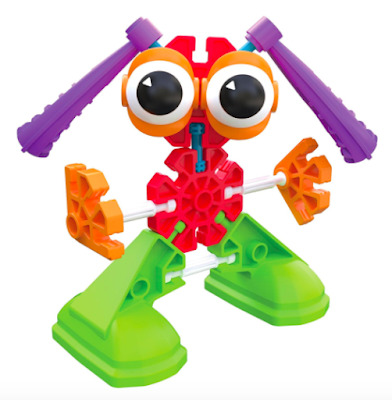 Here's a curated roundup of toys, crafts, games and fidgets—new and classic—that help with fine-motor skills, gross-motor skills, cognition, communication, social skills, chilling out and having f-u-n, recommended by parents, teachers and therapists. As usual, I didn't include ages because what works for your child works (although if yours has a tendency to swallow objects, mind the "choking hazard" warning on packaging). It's also a good idea to check in with your therapists. New this year: a section with extra ideas for tweens and teens. The photos are clickable for shopping. The prices listed may change, but the enjoyment won't. Carnival in your living room! Kids will be excited to press down on the adjustable launcher to fling balls at the targets, which are close to four inches tall. 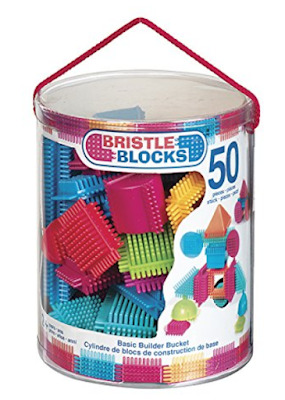 Blocks that need to fit together just so can be frustrating (and sometimes impossible) for children with fine-motor skill issues, but not these classics: the soft, interlocking bristles stick together at any angle. Use the magnetic stylus to manipulate the metal balls into the holes, then push them down and start all over again (with no risk of the balls scattering everywhere). A great toy to take along on plane rides. There's also a Glow In The Dark version. These chunky paint sticks are very grasp-able and glide right onto paper, sans smudges thanks to a fast-drying formula. They just need to be twisted up to use. Get your ice-cream right here! As kids grasp the scooper to dole out ice-cream; follow the instructions on the order cards; count to ten by pressing the syrup pump or coin button; listen to the phrases introducing colors, numbers and flavors; and push the cart around, they're working on their fine-motor skills, gross-motor skills, memory and sequencing skills and learning, too. Sweet! 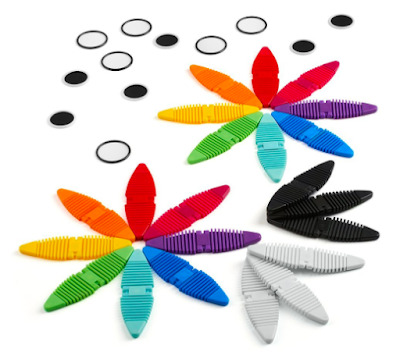 Kids can stack or zip pieces and put together all kinds of creations using these colorful flexible strips with magnetic connections (plus circular pieces that can be used as eyes and wheels). Other Magnaflex sets include Vehicles, Critters, Fun in the Sun and Wearables. Push the lady's head down to make the balls pop like wild—no batteries required. So simple, so fun. 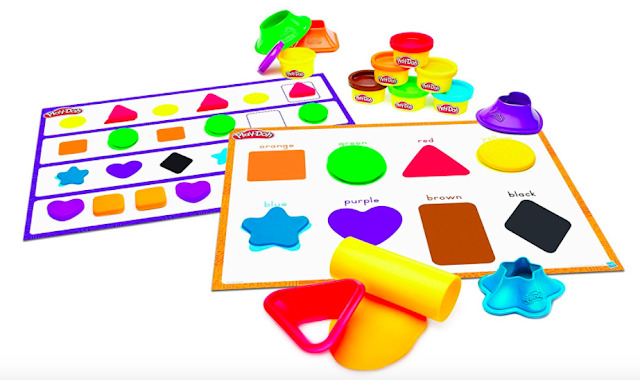 This bestselling kit comes with five colored bag, 260 stickers and paper shapes, chunky glue and easy picture instructions. 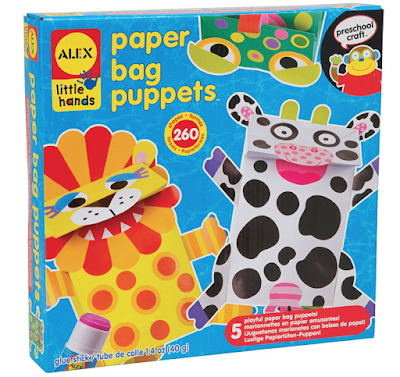 Making them is half the fun; sticking little hands inside the bag and making puppets move and talk is equally entertaining. Over the years, speech therapists have used puppets to encourage Max to articulate sounds. 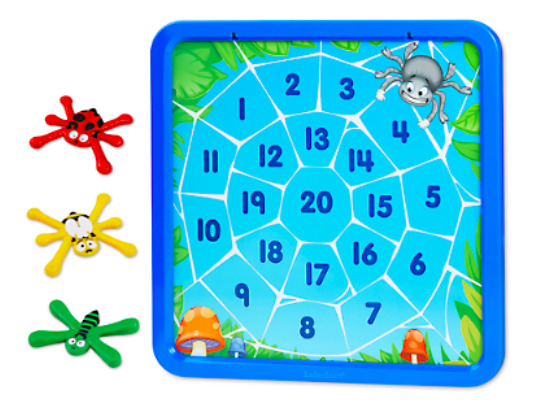 Toss the magnetic bugs at the 16" x 16" board to make them stick—and practice numbers (on one side) and the alphabet (on the other). Includes three bugs with super-strong magnets, and an activity guide with game ideas. 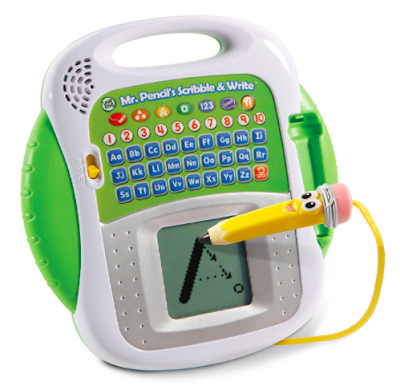 For children with disabilities, this is the user-friendly version of the toy we grew up with—it now comes with a stylus for doodling and drawing. The knobs have been replaced with double-sided stampers for adding shapes and patterns to drawings—but you still have to shake up and down to erase. Work those hands! Kids can do an occupational therapy session right in the tub (but they'll just think they're fishing). 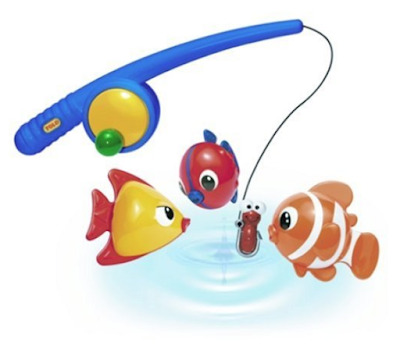 Drop the sea creatures into the water, toss out the reel and try to get the magnetic worm to grab the floating fish. 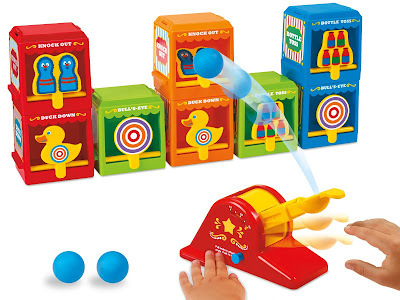 Works on hand-eye coordination and dexterity, comes with three fish. Just don't try cook their catch of the day. 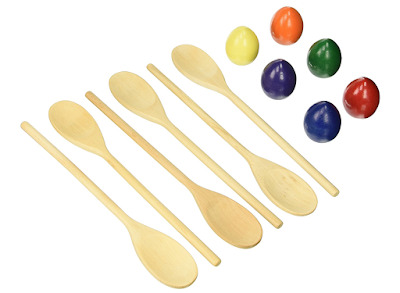 The goal: Use the grooved wooden spoons to pass one weighted egg to another. Along with refining fine-motor skills, this works on hand-eye coordination, too. Children may require hand-over-hand help. It's total DIY scratch art. 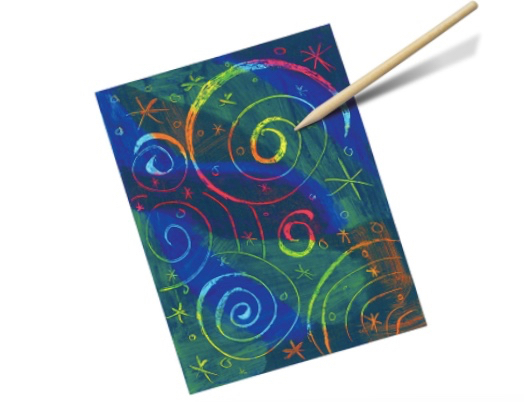 The kit comes with two art boards, three oil pastels and acrylic paint; color the boards to create a custom scratchboard, then have at it with the wooden stylus and foam brush. There's even a pop-up easel for displaying mini masterpieces. Oh noooo: The plush kitty and doggy have boo-boos! 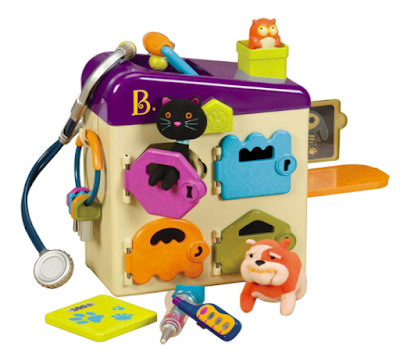 Your child can heal them with help from the stethoscope, thermometer and injector. They'll also enjoy opening the four doors with the keys, practicing their hand-eye coordination in the process. 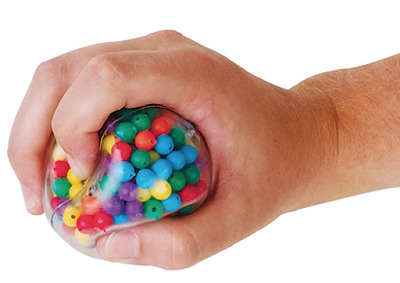 Encourage grasping and bolster tactile senses with this play game. Dump pieces into the canvas bag (try just a few at once at first) so children can feel around and find the shape that matches the tiles. 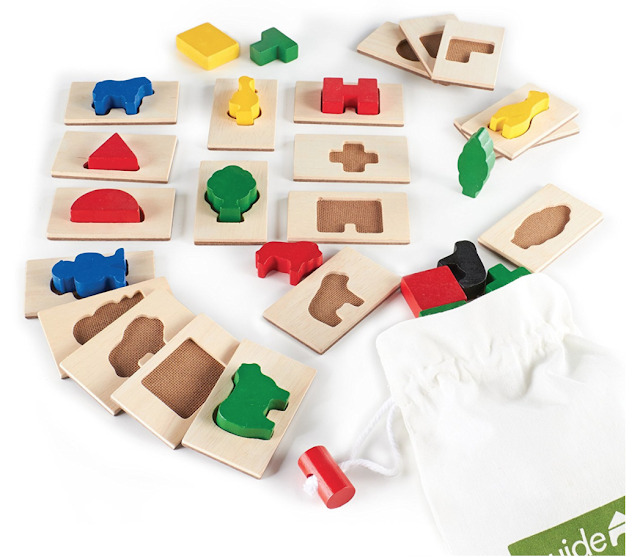 Includes 20 shapes, 20 matching tiles (both made of rubberwood) and a storage bag. 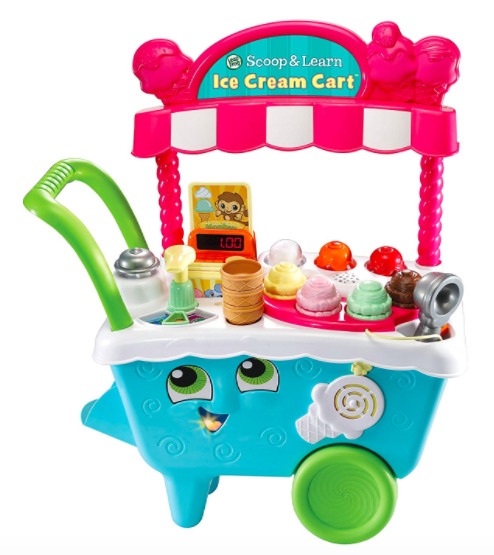 The 100 parts in the tub are large, the colors vibrant, and the fun endless. 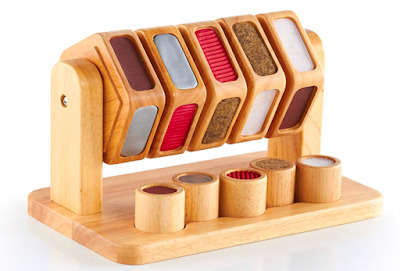 The rods and connectors are relatively easy to put together and pull apart, though your child may require hand-over-hand guidance. Also works on hand-eye coordination, problem-solving skills, spatial awareness and (of course!) imagination. Comes with building ideas. 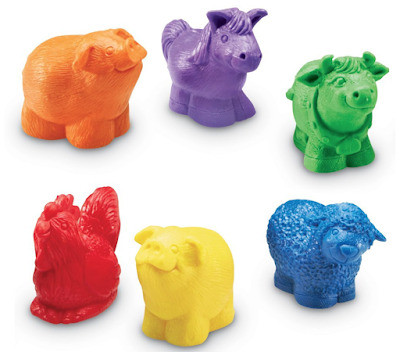 The 30 animals (six each of a cow, horse, rooster, pig and sheep in six colors) help teach counting, sorting, patterning, colors and matching. Since there are holes in the bottom to serve as finger puppets, they can also encourage children to isolate their pointer finger. Old McDonald had...OT! Your archaeologist (aka child) can soak a clay egg in water, then chisel away using one of the 12 tools and instruction sheets to excavate the dinosaur inside. Rinse off the clay and the dino's ready to play. An excavation guidebook helps children classify the dinosaur by similar traits. It's an OT favorite! Five shapes rotate on a rod, with a different tactile material on each side to match to the ones in the cylinders below. Max had the foam version of this plastic board as a kid. 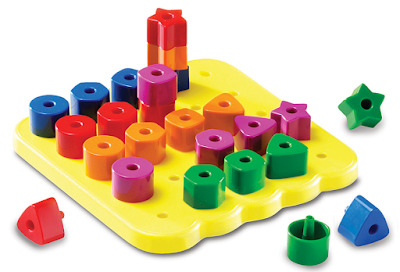 We mainly used it to encourage grasping, but it also helped teach colors, shapes, counting and understanding of patterns (key for advanced math skills like counting and order). Comes with 25 pegs in five shapes and five colors. 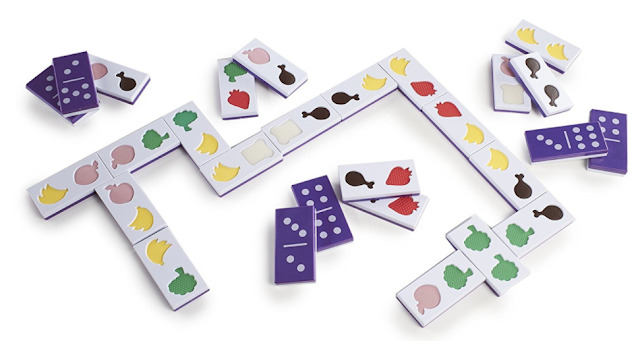 The 28 double-sided plastic dominoes (4 inches tall, 2 inches wide, 1/2 inch thick) have textured cutouts of bananas, chicken legs, strawberries, peaches and more that have a similar feel to the real foods. Children can practice their fine-motor skills setting up the piece or toppling them over and get sensory input, too. 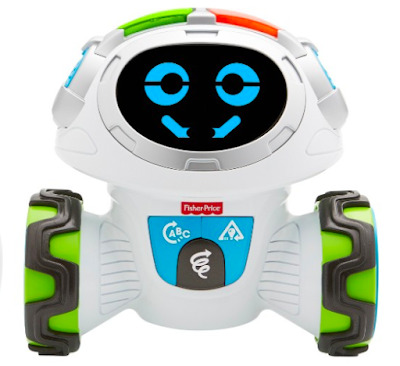 This new little robot encourages kids to get their bodies and minds moving, with six games (including Red Light, Green Light and Movie Says) in three learn and move modes. Movi also asks questions to engage critical thinking skills, and can bust a dance move. He's got 360 degrees of mobility, two light-up buttons on his head and more than 60 facial expressions, to help kids identify emotions. This sit-on-it scooter works on balance and core strength, with contoured handles for support and casters that glide easily and won't destroy wood floors. Wheeeeeeee! 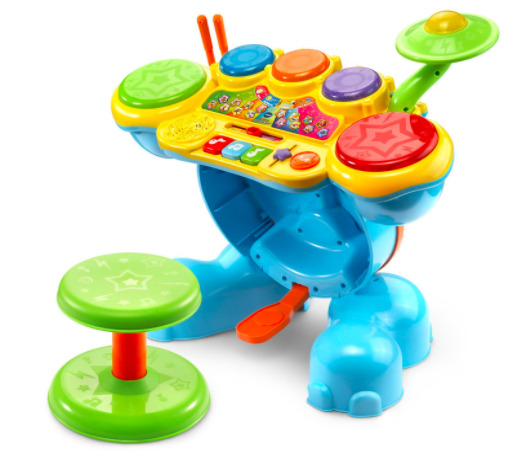 Tap the drum heads and cymbal and they light up; step on the bass pedal and the elephant trunk moves back and forth, triggering bass drum sounds; plunk the keyboard to play tunes. This set has 16 melodies, six songs and four drum styles, and comes with two drum sticks. 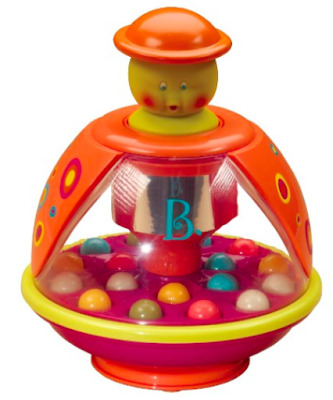 It encourages motor skills and coordination. Some children might require a seat with support. 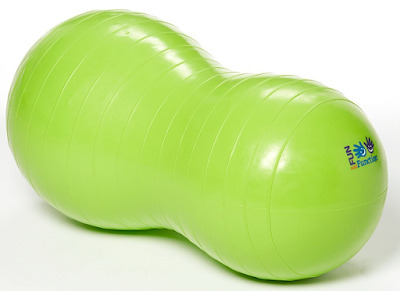 Children can bounce away on this ball, with or without a parent's or therapist's support. The indented shape makes it easier for little legs to grip the sides. Choose the best size from the drop-down menu; the length of your child's arm should be within two inches of the ball length, but also ask your child's physical therapist. Technically, this game is meant to be used outdoors but it'll work anywhere. 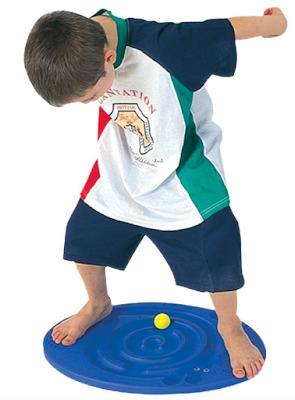 Your child can use the stretchy discs in any number of ways: He can grasp one (with hand-over-hand assistance if needed) and attempt to bounce a ball on it, he can attempt to catch the balls or other objects thrown toward them, he can play catch with another player or basically anything he conjures up. 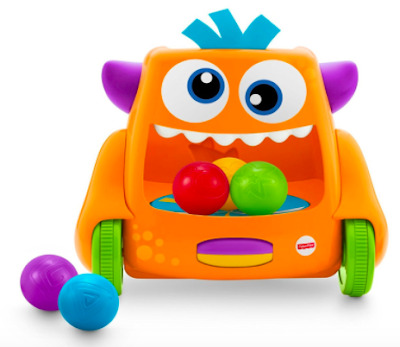 This dude gets tots moving in a number of ways: First, they can feed the five balls into the monster's mouth to watch them spin. Then they can try to crawl or toddle after the monster as he zooms around on this three wheels and spills the balls out—catch him if they can! 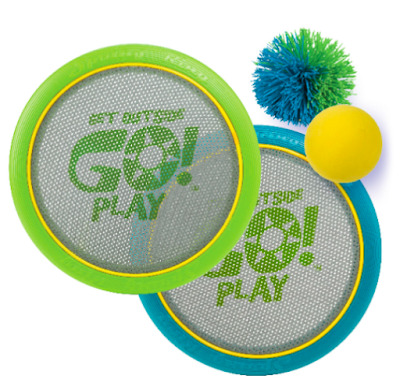 Songs, sounds and phrases make the fill-and-spill play even more fun. These may be a bit of an investment, but they may well make your PT jump up and down in glee. 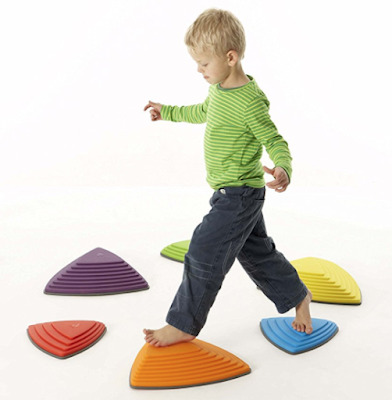 The "stones"—each of which varies in steepness and difficulty—help improve coordination and balance, with a rubber rim to prevent slipping. They're made for children up to 110 pounds. Comes with three large stones and three small ones, which stack for storage. 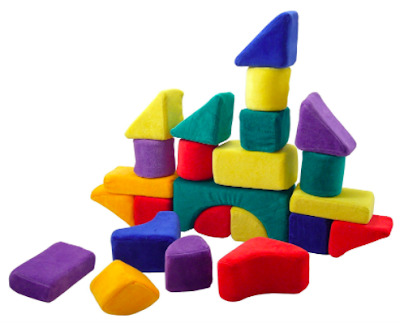 The 24 oversized soft velour blocks works both gross-motor and fine-motor skills, along with hand-eye coordination. Kids can practice grasping, lifting, stacking and—what the heck—tossing them all over the place. A good one to keep at home for physical therapy sessions (assuming your PT agrees). The challenge: Your child has to move a ball around the top of the balance board, while keeping her balance. Footprint impositions and a smooth rotation surface beneath make it easier. The board's lightweight, so this can also be used by hand. 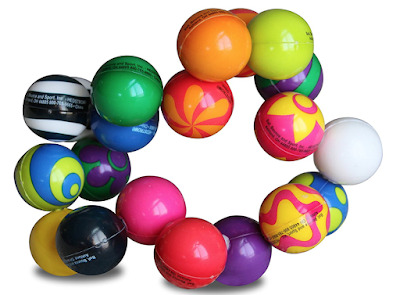 The 20 1-1/2 inch foam balls can be put together to create different designs all of which twist, turn and swivel. Meanwhile, your child's working on fine-motor skills, critical thinking and problem solving—hello, STEM! The balls have a smooth, uniform texture. BPA, latex and phtalate-free. 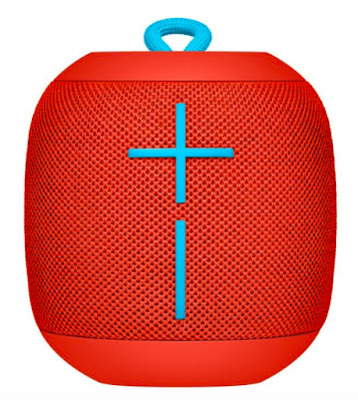 Makes a soothing rain-like sound; this eight-inch version is easier to grasp than the larger kind. Soft, squishy and oh-so-stimulating. The beads help keep the balls from rolling away. 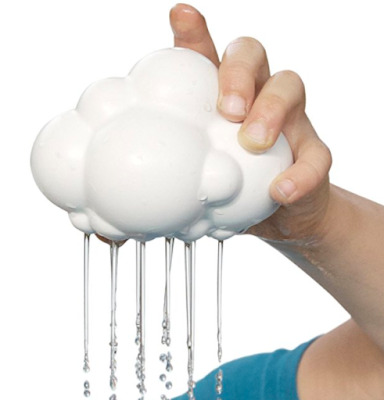 Create a rain shower right in your tub: Just submerge the toy in water to fill it up, let it pour, then stop the flow by touching a finger to the top hole—like the effect you get when you put a straw in a cup and place your finger on top to keep the liquid in. It breaks open for cleaning, so you can avoid mold situations. Also comes in handy for rinsing out shampoo. BTA-, phthalate- and latex-free. Wear it over a wrist, shake it, toss it, whatever! 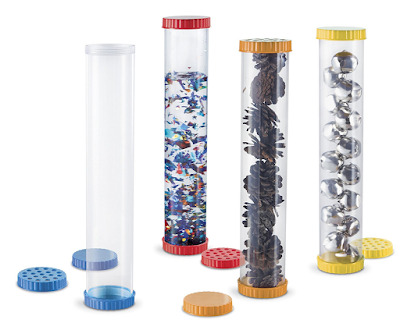 Kids can fill these solid tubes with solid or liquid—think bells, feathers, popcorn kernels—then shake them up and down or just inhale. Comes with four tubes 12"H x 2 1/2" wide, with dual openings and two lids that twist on and off. 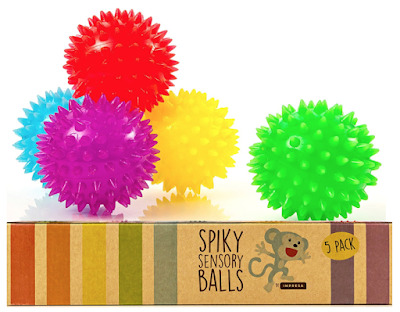 Firm yet squeezable, kids can clutch these 2.5-inch balls to soothe themselves. 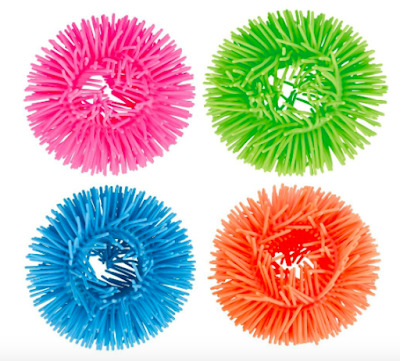 Can also be used as a tactile roll or for sensory brushing. Also: they bounce! Free of BPAs, phtalates and latex. A soothing way to engage a child who likes repetition (decent fine-motor skills/coordination required to use this solo). 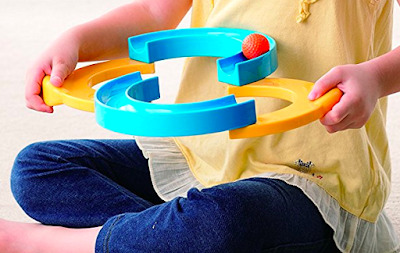 Using both hands, children grip the handles of this track in the shape of the number eight (it's 13 x 9 x 2 inches, 14 ounces) and try to keep the ball running repeatedly by opening and closing the tracks. Help children match the emotions on their faces to the ones printed on the frame: happy, sad, angry, confused and excited. 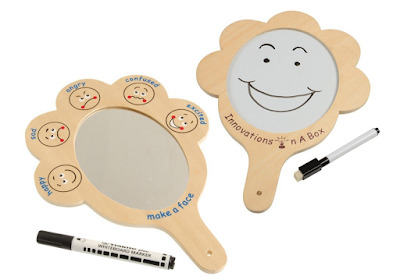 The other side of the mirror is blank; use the included wipe-off markers to draw your own emotions. Size 8.9"W x 12.15"H, made of wood/acrylic. A fun way to practice writing letters (upper- and lowercase), shapes and numbers. 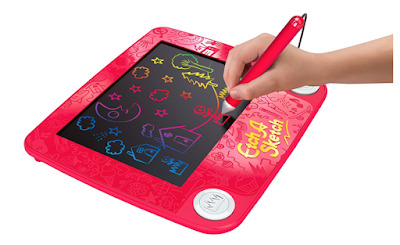 After Mr. Pencil speaks the name of the number, letter or shape, kids can use the stylus on the touch screen to trace while getting feedback from Mr. Pencil. Then they tap the screen to make it come alive with animation. Or they can draw whatever they want in "free draw" mode. Kids can also practice early spelling by matching letters to their sounds or finding missing letters to spell simple words. 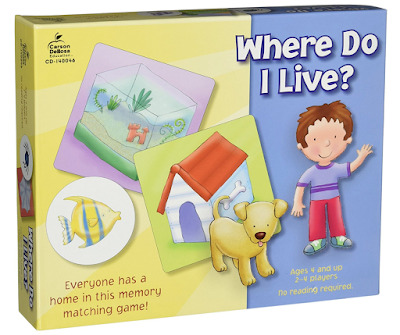 Your child's mission: match the animal to the home in this memory game, no reading skills required. Strengths visual discrimination, classification and recall skills. Caution: May cause child to beg you to get a real pet! Get your child to express thoughts, talk about himself and work on catching and grasping a ball—while pumping up his confidence. 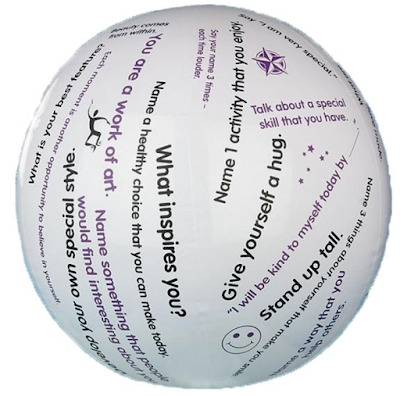 This 24-inch inflatable ball is printed with prompts ("Pay yourself a compliment"); fill-in-the-blanks ("I am very good at....); and feel-good affirmations ("Believe in yourself"). Play ball! A game your child can play with you or a therapist, or in a group. It's simple: he grabs one of the pieces of popcorn (aka kid-proof hard cardboard) and reads the simple sight words (such as up, one, did, his, want, please, go). 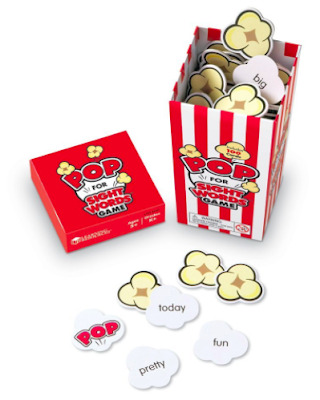 Includes 100 pieces in a cute popcorn box. 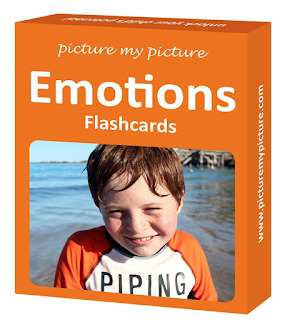 Each card in this set of 40 features a full color photograph of a feeling or emotion on one side, and the label on the reverse—happy, tired, sad, bored, worried, NEEDS CHOCOLATE RIGHT NOW. (Oh, wait, that's just me.) 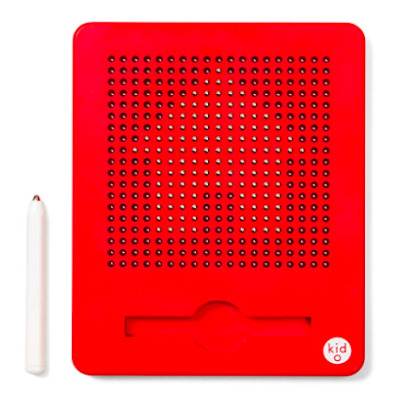 Encourages language development, communication and conversation. • A watch (even better if you can find one in a design related to your child's interest—Max is getting this firefighter logo one). • A personalized clock. You can get one with a photo and name over at Zazzle. Or try a cool digital clock/iPad holder, like this Jack Skellington Nightmare Before Christmas one. • A vibrating massager. You can find any number of ones out there. There's also the Squeeze Reliever, a nifty gadget that compresses hands and feet. • A mall crawl: I did this for both Max and Sabrina, assembling gift cards to favorite restaurants, clothing stores and Starbucks for a mall extravaganza. Because, as we all know, malls are the epicenter of awesome when you're a teen. • Cool sound-canceling headphones. I've made a list of the best headphones for kids with autism and sensory issues, check it twice! • A gift card for a local movie theater or an envelope full of tickets. Note if you have a Costco or Sam's Club membership, stop by the customer service desk and ask about discounted packs of tickets. • Tickets to see a show. In a couple of weeks, Max and I are going to a production of Annie, at his request. One study showed that giving an experiential gift can be even more satisfying than a material one. Soothing and just plain groovy. Other patterns available including Northern Lights, Dot Print, Fireworks and Rainbow). These one-inch pulls, which hook onto zippers and make them easier to manipulate and more stylish, are made of aluminum with a silver-tone clasp. There's room for four Braille cells on each to personalize them with a word or letters. 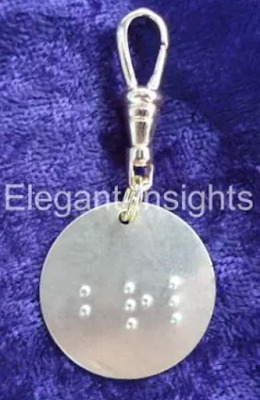 Creator Laura Legendary, who's blind, also makes unique jewelry. For more suggestions for gifts that are made by disabled entrepreneurs, see the 2017 Disability Holiday Gift Guide put together by Emily Ladau at Words I Wheel By. 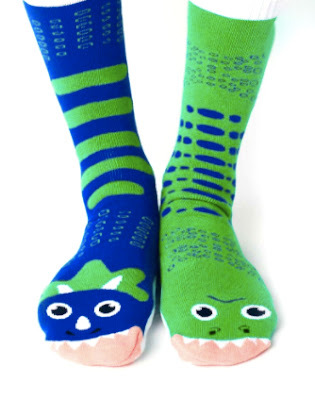 Pals makes socks—a soft, mostly cotton blend, with acrylic and nylon for stretchiness—that are purposely mismatched. The company's "Manifeesto" is to make kids aware that difference is a good thing, and that we don't all "match" or have to look alike. Available in toddler, kid, and adult sizes. They reach mid-calf, and could be a good fit for DAFOs. A percentage of all sales benefits the Parent Advocacy Coalition for Educational Rights. 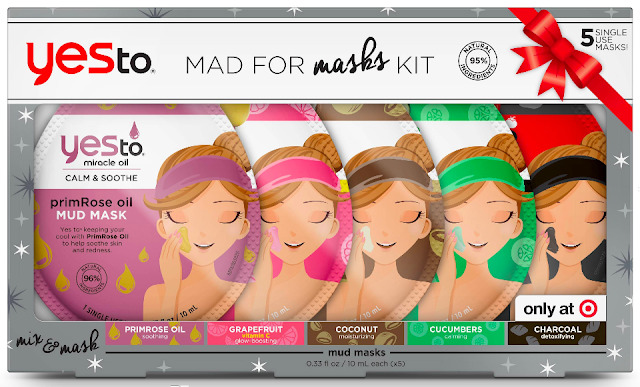 Pamper your tween or tween with this Mad for Masks variety pack of masks (Yes To, $9.99, only at Target) and a set of plush washcloths. This one's from Collage.com. You can order blankets in various knits—fleece, sherpa, woven—with a few photos or lots and lots of them. This is one of my favorite posts that you do all year! Sharing all these wonderful ideas with my friends today! 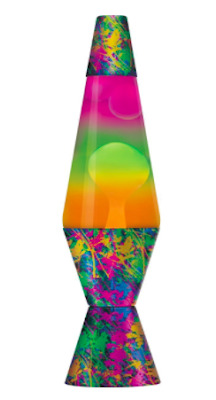 Yes - lava lamps are groovy! In 2000 I bought a green one to go in someone's white room, and for that person to remember me. In 2001 that person gave me Jackie Collins as a trilogy and Anne Frank the year after that. My first present - as opposed to presence - was a purple vibrating spider. And I think people can make their own Riverstones - with instruction. Great to see the Entrepreneur list and the Teen and Tween list. Especially the Zipper Pulls and the Pals socks. If I had a sock company I would do just this and stock up for March. 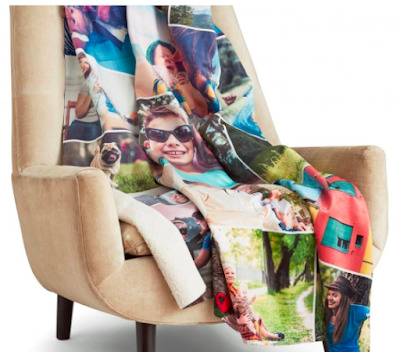 Photo blankets! It might be good to make some of a recent holiday. Or Max and Dave can make one of Las Vegas and give it to you or whoever they care about. A middle blanket for Sabrina; a little blanket for Ben - or a throw pillow. Love the idea of making a Vegas-trip blanket for Max—thanks, Adelaide! And yes, lava lamps are perpetually groovy. The photo blanket could be anything. Raising money for the New York Fire Department and the Police Department also. They might like to know about Las Vegas and the connections involved.